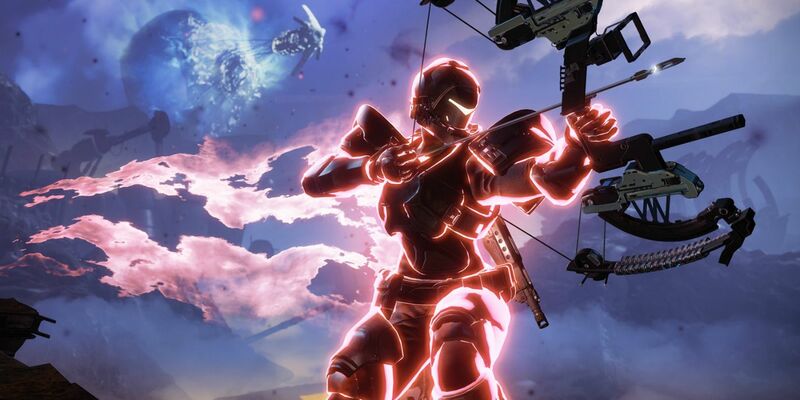 Destiny 2‘s DLC has been a pretty large disappointment for Activision Blizzard, the company revealed in its third quarter financial release earlier this week. The game is currently in its Destiny 2: Forsaken DLC expansion, which featured the death of a major Destiny character and some narrative beats that span all the way back to the first game beginning to see some resolution. Destiny 2 started out promising, performing well in sales for Activision Blizzard and drawing a huge portion of the original playerbase back for another go as a Guardian battling the Darkness. The game’s post-launch health has been marred by confusing, often contradictory decisions from developer Bungie on which direction Destiny 2 should head. Enfranchised players have felt that the sequel doesn’t offer enough meaningful end-game content, while casual players feel that the grind is still too much to deal with, and the result has been that Destiny 2 has been unable to satisfy either demographic to the extent that its publisher would like. Activision Blizzard’s console games and services revenue dropped by 34 percent year-over-year, down to $347 million, with the company singling out Destiny 2 and its recently released Forsaken expansion as being particularly disappointing, stating that the DLC isn’t performing as well as anticipated. That’s a generous way of putting it – a huge part of Activision Blizzard’s console games and services revenue is tied into Destiny 2, so that large of a drop-off is bad news for a game that has already been struggling from a critical success standpoint. 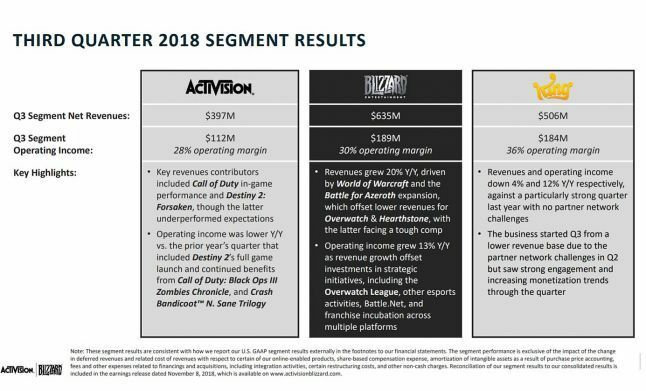 Activision Blizzard’s total revenues decreased around seven percent down to a paltry $1.51 billion, so it’s not as though the company is going to need to look toward cost-cutting measures in the near future. If it did, though, it’s fair to wonder how much of it would come down on Destiny 2. Fans criticized Destiny 2: Forsaken for being overpriced at launch commensurate to the content it offered, and then later had issues with the content itself, expressing disinterest in how repetitive and boring it was. Fans simply didn’t want to invest the time into a game that felt as though it was doing the bare minimum to keep them interested, and the result has been a very loud statement made through Activision Blizzard’s third quarter earnings. Despite Destiny 2‘s underwhelming performance recently, the game still has its fair share of dedicated players, and was recently offered for free on PC to celebrate its one year anniversary. Hopefully for those who are disillusioned with the way the game has progressed, Bungie will take a look at the direction Destiny 2 is currently heading and address the many concerns the players have had over the past year or so, most of which went unanswered with the release of Destiny 2: Forsaken.